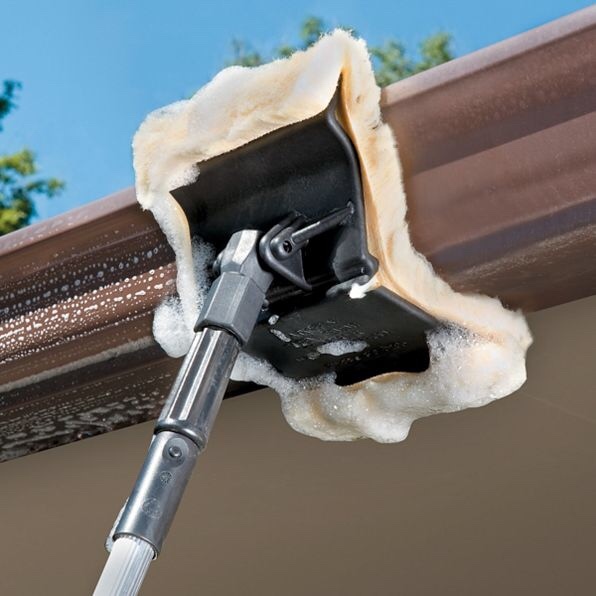 Has anyone seen a brush designed specifically for gutters and down pipes. I think I saw somewhere a horse shoe shaped brush that would follow the contours. Be fun to try something like that. That's the nearest I have seen. I got one and fitted it to my paint pole but I have a vac now. I just use a Gardiner soft sill brush and it gets in to the gaps. Hot water and a little degreaser and they come up sparkling.